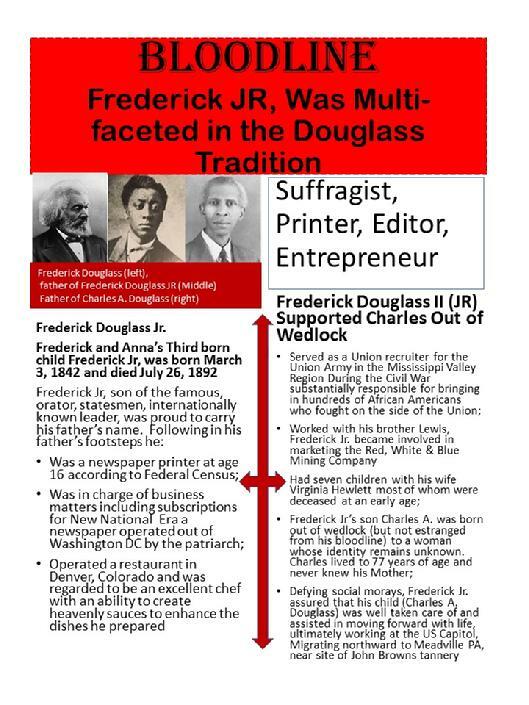 Frederick Douglass Jr., (the Great-one's Third born), Father of Charles A. Douglass, took good care of his Children, including young Charles, who was born out of wedlock, yet in his bloodline. Your kind letter of the 24th inst. is before me. We were happy to hear from you: our anxiety for your returning health makes us happy to hear of your improvement. though it be ever so slight. In reference to the Convention, and political matters, "all is quiet on the Potomac." Virginia is not looking well, she felt the loss of of her mother's attention during her sickness. 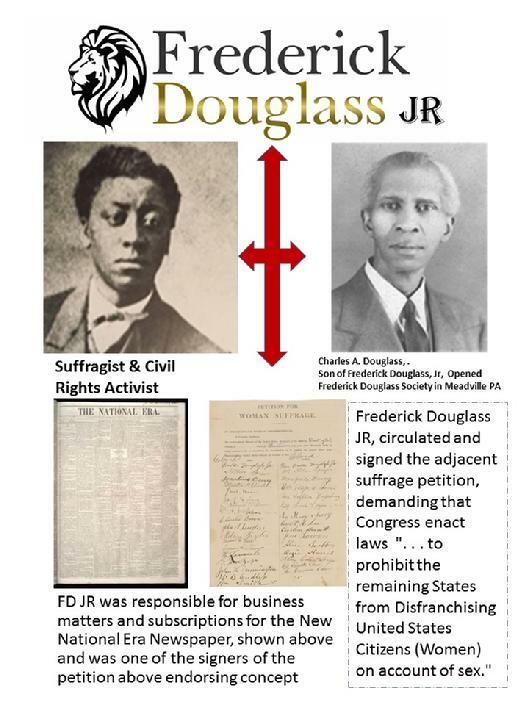 I have noticed for years, the inability, or ingratitude on the part of colored people generally, ecspecially in Washington to comprehend your services; but the white people will never fail to make honorable mention of them; even those who have been denounced by you in years gone by, fail to question your integrity. I feel that we children have shared in a measure, your sacrafices for the good of the cause in ~ears past; hence I feel the slurs and snears pointedat you. The youngsters can't hurt you; your work stands out in bold relief, it needs no explanation, only from those who seek to be elevated by your condescending to notice them. They never were of the sigh test service to you; on the contrary, they have made faces at every position the whites have given you; these positions, in their opinion, have either been too good, or not good enough for you. I am not unmindful of the comment through the colored press about the "Advocates" proposition in reference to making you President of Howard University. Your letter declining, saw the light in the "Advocate" last week. No, after the Convention, I would look entirely to your own personal welfare, and let the "young men" cut their own throats, for they lack the first essentials to success, ie principle. Don't allow yourself to be troubled anything I think that with the truth on our side Lew, Charley and I will be able to keep the flies off.